Originating in America in the 1970s, home staging is commonly practised in the US where an estimated one million trained professionals spruce up properties before they are put up for lease or sale. However, home staging is a relatively new concept in Singapore, although locals may have heard of it from reality TV shows such as Extreme Home Makeover and Sell This House. What exactly is home staging, and how does it help you lease or sell your property? The objective of home staging is to highlight a property’s best features in order to attract a wider audience and to sell or lease it out faster, at the highest price. “It commonly involves de-cluttering, maintenance, re-arrangement or hire of furniture and decor and finding storage solutions,” explains Georgina Wong, CEO of Asian Professional Organisers. Singapore’s first professional organising company registered with the Australasian Association of Professional Organisers. Her company has been offering home staging services here for the past year. This depends on how much work is required. Asian Professional Organisers offer a complimentary first-hour assessment to clients (sellers, landlords or their property agents) before giving a quotation. On the average, a one-bedroom condo that is inhabited will take at least a day. A three-bedder house with a driveway and garage may require a week or more. Charges are the same for HDB or private properties: $900 to $1,000 per eight-hour day, depending on the complexity and number of professional organisers required. This covers professional recommendations, hands-on de-cluttering and re-organising of room layouts and decor, sourcing for custom items and getting quotations for specialists in electrical, plumbing, painting and gardening. 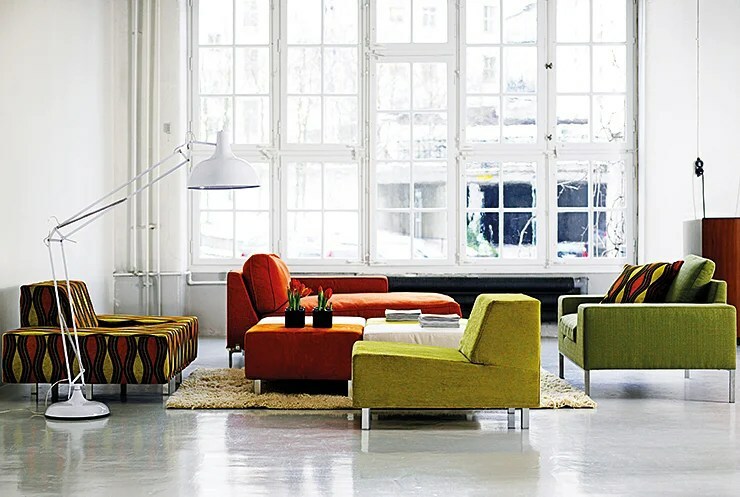 It includes free use of the company’s inventory such as lighting, carpets, small furniture and plants. Clients working on a tight budget can choose to stage key rooms such as the entrance, living and dining rooms and the master bedroom. HOW DOES HOME STAGING HELP TO INCREASE MY HOME’S VALUE? Viewings usually last an average of five to 10 minutes. Hence, curb appeal – the first impression – is vital as buyers decide within seconds whether they are interested in a home, says Georgina. According to the National Association of Realtors in the US, those who spend 1 to 3 per cent of the value of their home on staging their home reap 8 to 10 per cent in average price value. This value can be in the form of fewer price reductions, saving on the cost of maintaining a vacant unit and reduced number of days sitting on the market. Being a very new concept in Singapore, there is little local data on home staging. However, Clinton Yew, a sales director at SLP Realty, estimates from his personal experience that homes that have been improved before sale sell faster and hold the asking price better at the negotiation stage. “A staged home also attracts more interest from buyers, which hopefully leads to a bidding war between two or more parties,” says Clinton. While staging a home may not necessarily affect the final price – buyers will always consider other important factors such as its location, amenities and market price – it could speed up the selling process. Georgina shares an example of a four-room HDB flat in Toa Payoh which languished on the market for three months. The owner was advised to put away religious objects, household clutter and piles of clothes. Within 12 days, it was sold at a hefty Cash-Over-Valuation (COV). Both Georgina and Clinton observe that buyers often negotiate prices in multiples of $5,000 to $10,000. Hence, if you spent say, $1,000 on the home staging fee but it negates the opportunity for the buyer to ask for a discount, you’d have saved money overall. WHY HAS HOME STAGING NOT CAUGHT ON HERE? Clinton, who has researched home staging’s popularity in mature markets such as the US, reckons it could be due to two factors. Firstly, many local sellers work with several agents instead of signing an exclusive contract with one. The home staging fee is paid by either the seller/landlord or absorbed by an agent as his marketing cost. Hence, unless the agent is exclusively selling your property, there is no incentive for him or her to spend extra effort or money to stage your home. That is why Georgina, who is also a certified real-estate agent, offers complimentary home staging as a value-added service only to her exclusive listing clients. With the property market softening after several rounds of cooling measures by the government, Clinton believes that home staging may become more viable as sellers look for ways to differentiate their home from the competition. With rents expected to drop further this year and resale property prices stabilizing, some sellers and landlords have turned to home staging to make their property stand out in a buyer’s market, reported The Straits Times. This decorating idea is said to have originated in the US, and refers to transforming a lived-in house to make it more appealing to buyers. It usually involves repainting walls, cleaning up and re-arranging furniture, and even baking bread during viewings to create a welcoming atmosphere. For landlords, home staging may involve renting new furniture for the apartment instead of leaving it empty for viewings. In Singapore, only a handful of professionals offer home staging services. These include styling studio paper+white, which upcycles existing furniture, and Asian Professional Organisers, which specializes in interior design and space management. There are also several furniture rental companies such as Singapore Furniture Rental, which leases out furniture and home accessories like cutlery and carpets, and WTP The Furniture Company, which rents out furniture for a minimum of three months. Packages start from $1,400 per month to furnish a studio apartment. At Singapore Furniture Rental, the cost usually includes photography and transportation, as well as the services of a stylist who will arrange the furniture. 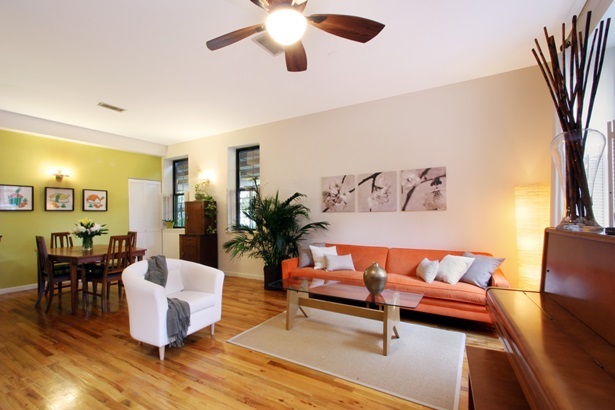 Some property agents also offer home staging services. For instance, Vestor Realty Vice-President Lawrence Poh goes to great lengths just to decorate a property he is putting on the market. He brings in various cutlery, potted plants and throw pillows before taking a picture of the house or hosting a viewing. He would sometimes change the bedsheets of homeowners to fit the theme. He may even serve wine or use home scents during viewings. While many baulk at the idea of spending money to sell a house, home stagers reckon it’s worth it. “Elsewhere, homeowners understand that they can spend a five-figure sum to home stage, but they can get back that amount and an even bigger profit because their house has attracted buyers willing to bid high for a good-looking house. The difference can be enormous,” said Davina Stanley, Founder and Creative Director at paper+white. Eugene Lim, ERA Realty Key Executive Officer, noted that buyers are more likely to go for a spruced-up home over a messy home, even if it is priced a little higher.